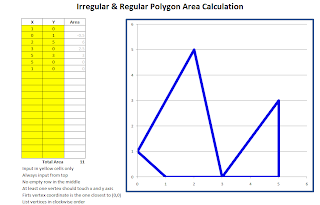 The attached Excel program can calculate the area of ​​a polygon, either in the form of regular polygons such as triangles, equilateral triangles, cubes, rectangles, hexagons, etc., as well as irregular polygons. The program can also be used to calculate the area of ​​land lot. Draw the polygon to be measured in x-y coordinates (Cartesian coordinate), determine the coordinates of each vertex of the polygon. Be sure to always use positive values for x and y, if there is a negative value then it will be confusing. Download and open the attached Excel document, enter coordinates x in the column x, and enter y coordinates and in column y. Look at the graph on the right, the graph must form a desired polygon, ensure nothing broken line in the polygon. Units of measurement can be anything, eg: cm, meters, km, inches, feet, mile, etc..
To measure the area of ​​land lot, firts create a drawing or map of land lot to be measured. Can use a simple yet accurate method as described on the article 'Drawing Simple Scale Map by Triangle Method'. 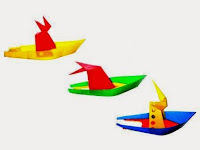 See a video about those three colorful origami boats are sailing together without: fuel, engine, battery, electric motor, and without wind blow. Boats are powered by chemical reaction to provide hydraulic energy. Those boats can achieve relatively high speed for a model or toy boat, and also very long distance with controllable sail. 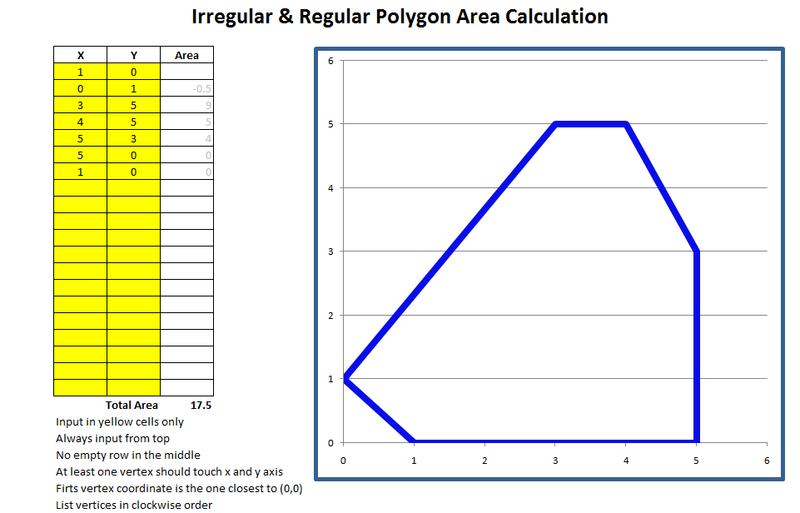 Based on that scale map, determine x-y coordinates for each vertices of polygon of the land to be measured. Then enter the x and y coordinates on the Excel sheet, make sure there are no lines of polygon of land lot is missing, the formulas will automatically calculate the area of ​​land. 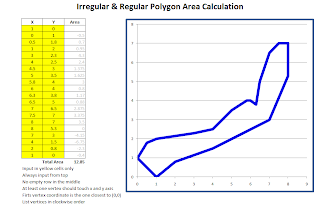 Some software can calculate the area of ​​land in the form of irregular polygons, such as: AutoCAD, Surpac, Minscape, Google Earth, etc.. 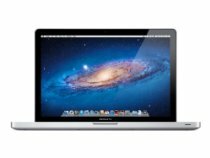 But of course Microsoft Excel is much more popular and easier to use, and helpful enough to address a problem as discussed here. This program can also calculate the area with curve shaped, by splitting arches into lots of angles, the more angles the more accurate calculation result. Maximum polygon vertices that can be calculated are 19 vertices, but can be added by copy-insert-paste row in that Excel sheet. Input only the golden (yellow) cells, always start input from the top, no empty row in the middle. Should be at least one vertex that touches the x axis, and one vertex touches the y axis. The first vertex point is the point closest to 0 (0,0). Register polygon vertices in column x and column y sequentially according to a clockwise direction. The size of the chart can be set to obtain a better fit. 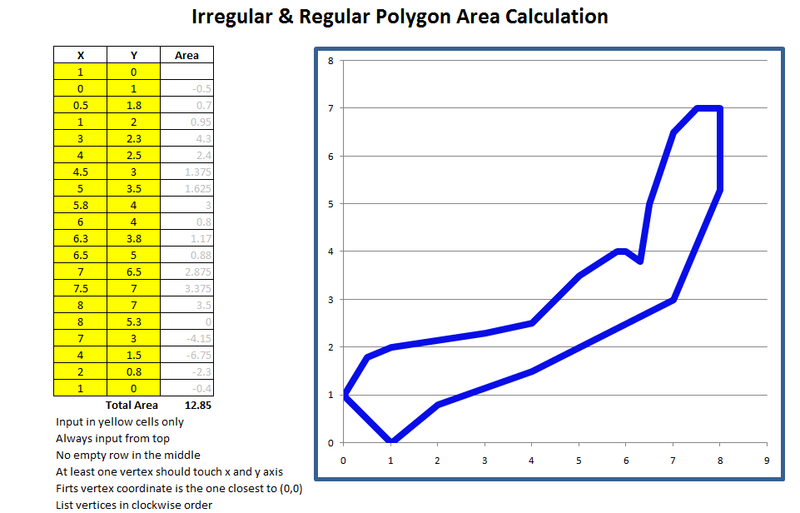 Picture below shows an example of area calculation of polygon having six vertices, shown in the right chart as a blue line. Area of ​​‘a’ is negative because it is outside the polygon. 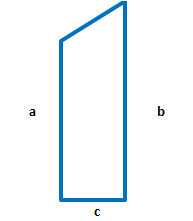 Area of ‘a’ has triangular form, but can be considered as a rectangle with one of the high is considered close to zero. The values ​​of each rectangular area can be seen on the table on the left. Therefore, these calculations can be easily understood and easily checked. But this formula is rather difficult to understand so it will be difficult to check calculation result. 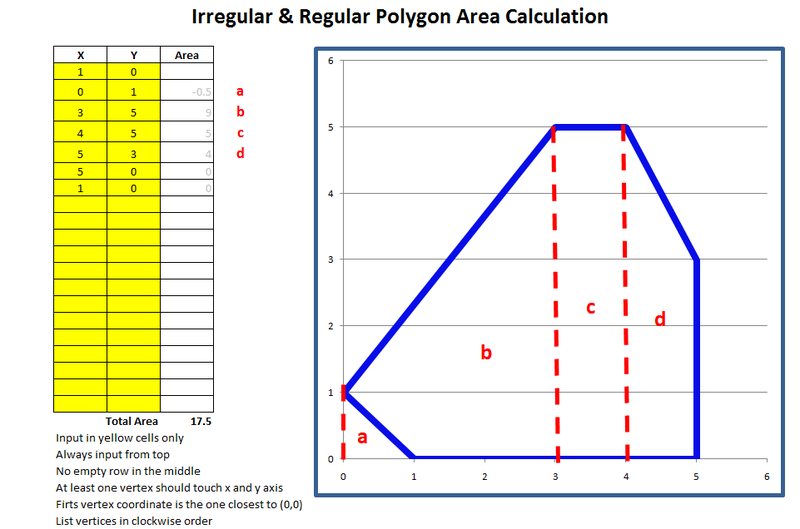 Exel sheet with this matrix formula is discussed in the article ‘Irregular and Regular Polygon Area by Matrix'. Picture below shows calculation for two polygons. But this is not recommended even though the program is able to do it. 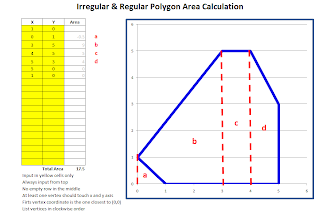 It is better to calculate the area of ​​polygons one by one. 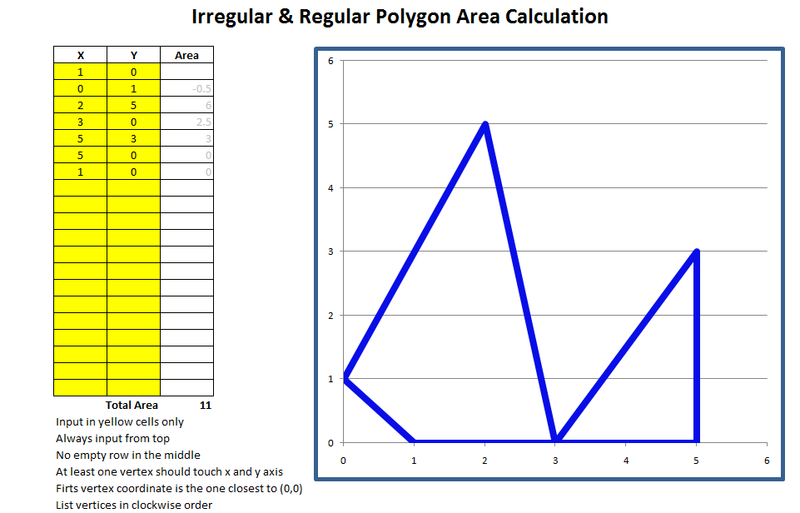 Picture below shows irregular polygon with many vertices, it could be a form of a land lot. Number of polygon vertices reach 19 each. Calculation for land lot area and perimeter by GPS (Global Positioning System) coordinates, click here. This knowledge is very useful if you are working as surveyor, employee or worker for company engaging in property, agriculture or farm, mining, etc.